She wasn’t alone. Several readers had already alerted me to this little gem. So I apologise in advance for what follows – she (and they) may now find it a little harder to get a favourite table. I have to shout out about this place, because some of the dishes we tried didn’t so much hit the spot as chuck it in a mortar along with a load of fragrant and hectic spices, and beat it to oblivion. It’s not so very long since I was bemoaning the lack of any decent Thai food in Newcastle, with despondency-inducing visits to Mantra and The Old Siam having seared themselves onto the part of my memory that deals with trauma and loss. I got a stinking, if amusing, pile of abuse on Facebook for having dared say anything negative about The Old Siam, which seems to be a lot of people’s favourite place in the world. I can, in response, only offer my best and most dismissive shrug. 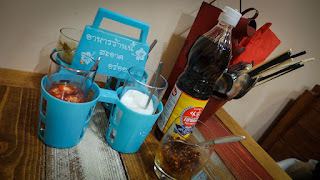 However, now the city has begun to fill up with good places – and about flipping Thai. 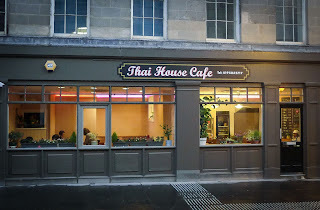 The Newcastle branch of Nadon Thai (brother of the restaurants in Morpeth and Durham) brought us our first uptick in quality, while Zaap does a reasonable job of Thai staples while offering free popcorn and an interior that can charitably be described as busy. There is of course good and authentic Thai food to be found in Fenwick's food mall, in Terry Laybourne's Ko Sai, though it's only open during store hours. I'm trying to forget the disappointing so-called street food of the chain Thaikhun in the Metro Centre, but I have to include some of the Thai tapas of River Beat, though that restaurant is pan-Asian, as is the rather brilliant Chilli Padi. 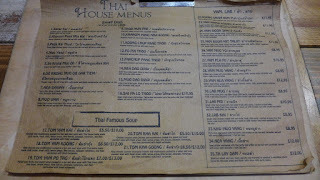 But it is to Thai House Cafe to which I now suggest you beat a path, and for two dishes in particular. As with every ubiquitous cliché, now and then a tom yam soup comes along that reminds you of why the hot and sour classic became classic in the first place. 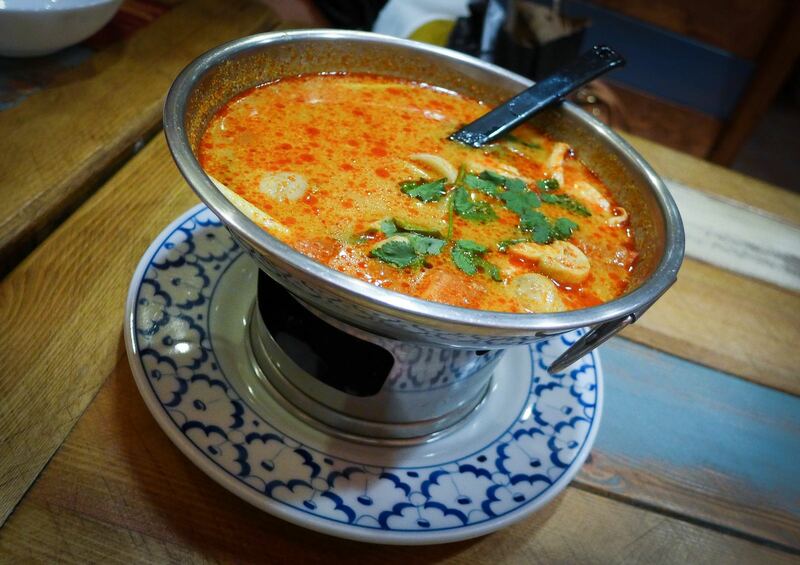 As with the best of Thai cooking, the charm of the thing is in the perfectly balanced tug-o-war between flavours: salty, sour and hot. 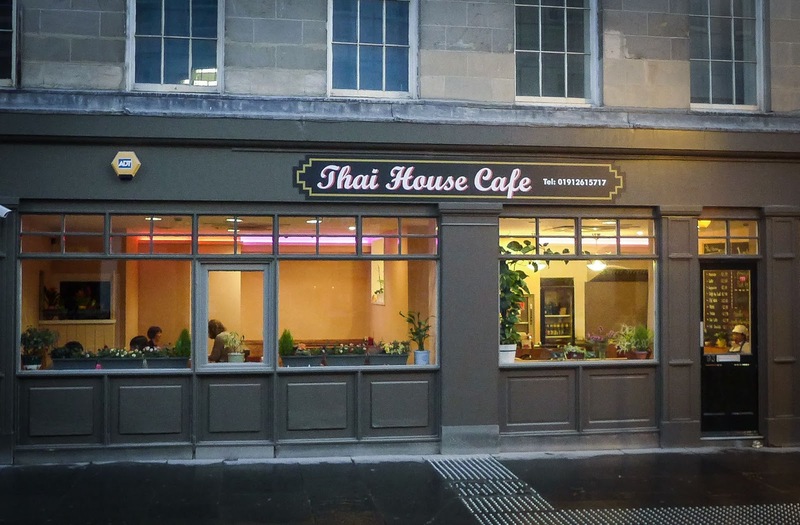 Thai House Café’s version has a fine broth that positively hums with the carcasses that have given it depth and body, while the chicken bobbing in its depths has been gently poached to a light tenderness. Flecks of bright red oil floated on top of mine like an angry warning, but the spice level was set to tingle rather than terrify. 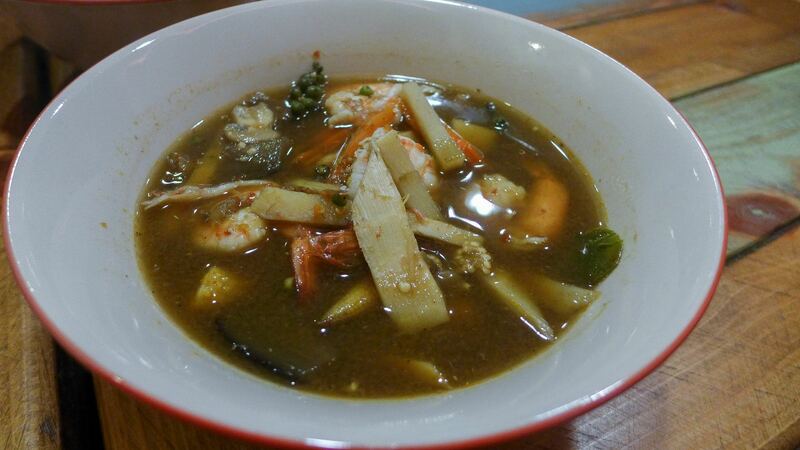 The same cannot be said for my other standout dish, a jungle curry of prawns and Thai vegetables (kang pa koong). I took the advice of our waiter and allowed the chef to tone down the heat slightly. This turned out to be a powerfully good idea, for it was ferocious. At its heart was a total banger of a green paste, with whole trees of fresh green peppercorns to raise the temperature yet further. The thing looked like a swamp, but tasted superb. 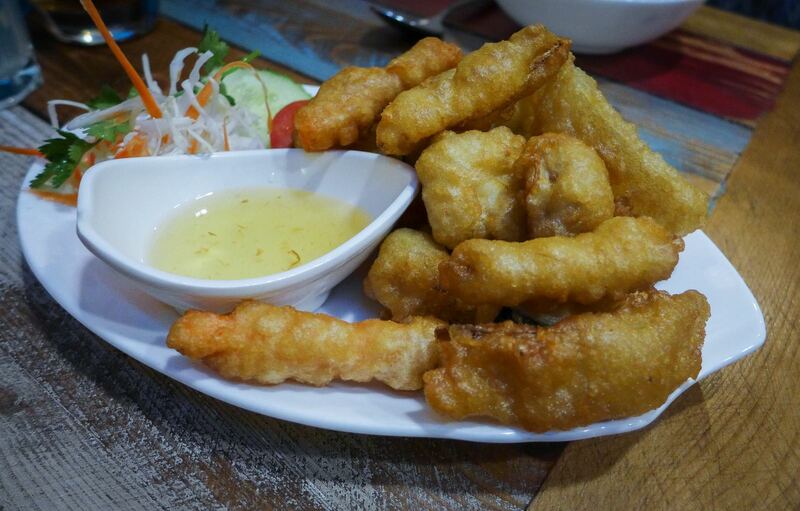 Whopping prawns hid in its depths along with pea aubergines and bamboo. This was a bowl of food worth sweating over, which, if you order it, you certainly will. 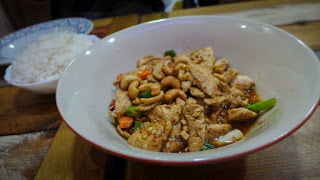 Mrs Diner’s dish of fried chicken with cashew nuts and spring onions was a far less dramatic affair to which I occasionally turned for respite from the heat. The chicken, despite not being crispy as advertised, was sympathetically cooked, while the nut sauce gave the whole thing a moreishly satay-like consistency. All of this had come after starters of some unremarkable tempura vegetables and a dish of deep fried dried beef. The latter had a texture close to jerky, which I enjoyed in a chewy sort of way. Both came with sauces that erred into gloop territory. I think the trick to ordering here is probably to avoid anything that may have jumped into the deep fryer with minimal preparation, and to major on dishes that involve a broth or a paste. That’s where the effort appears to be, and hence the flavour. This building used to be a place called Mr Bing that served “Asian urban crêpes”. At first I wondered if this was the owner’s name, or if he was just a big fan of the Friends character. But of course, any student of Chinese cuisine would tell me that it comes from jianbing, those wonderful street crêpes cooked in front of you on circular cast iron griddles. Mr Bing’s cooking was rather less wonderful, but I’m pretty sure that the current residents of his building will have more success. The interior is a jolly and colourful array of stained wood tables, adorned with all manner of chilli-spiked condiments. It’s nice enough to linger in, but informal enough to grab a bowl of soup and dash off. I intend to do both over the coming weeks. 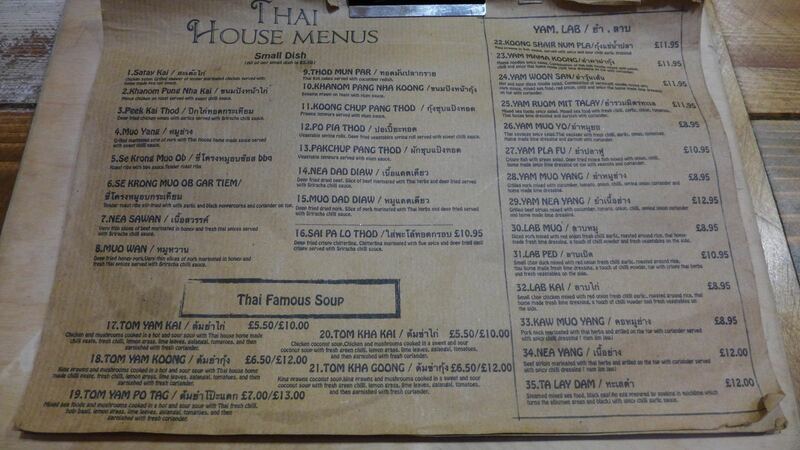 Depending on how enthusiastically you order, you may find that your bill mounts up. Ours topped out at just over fifty quid, including a bottle of Singha and a couple of soft drinks. 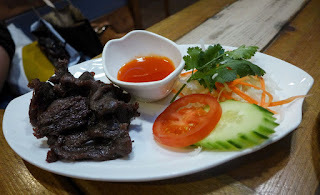 I believe that there may be some connection to the (underwhelming) Hexham restaurant of the same name, which I reviewed a couple of years ago. I asked about this, but didn’t quite understand the answer from our supremely polite and otherwise extremely helpful waitress. Something about the chef having left Hexham and so the owner taking over the cooking and upping sticks to Newcastle? Whatever. All you need to know is that this place is kicking out some bang-on plates of delicious Thai food, and that my friend was right: you should totally go. Just don’t tell anyone, OK?